Need Help House Training Your Dog? 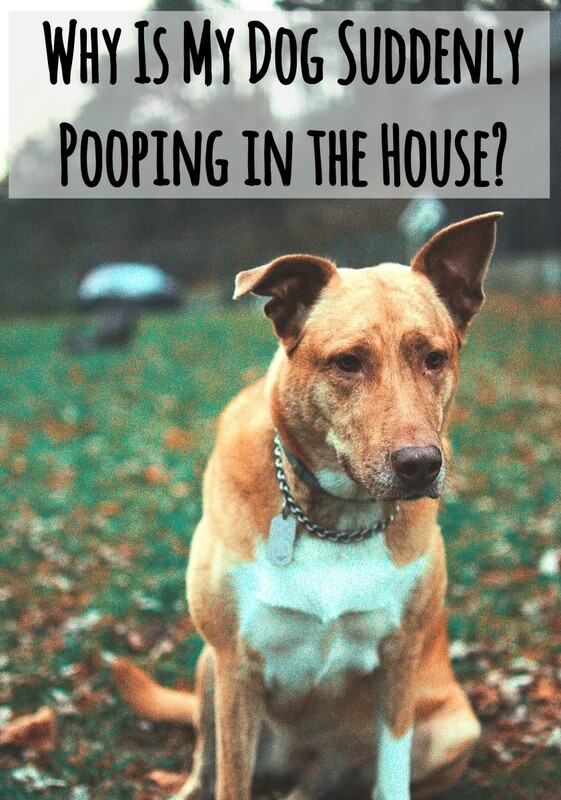 Why is it that a (mostly) house trained dog will sneak off to a certain room in your home to relieve himself? Understanding some basic dog behavior will help you understand why your dog uses the living room, the baby's room, or some other room in the house as his own personal potty. More importantly, you can use this knowledge to break your furry friend of this bad habit. So you've been house training your dog and doing everything right. You've been taking him outside every 20-30 minutes, petting and praising him when he "goes" outside, and taking him back out again every time you see him sniffing around as though he's looking for the perfect place to pee. You've been working with him for several weeks or months, He's making progress and getting the hang of it. In fact, he's pretty much house trained at this point. Or maybe your dog has been successfully housebroken for a year or two. Yet despite the house-training success the two of you have achieved together, your dog is leaving you "surprises" in the house, and it's always in the same room. The first answer that comes to mind for many people is smell. It is a well known fact that dogs will return to the scene of the crime because their noses tell them to go where they have gone before. Get a good enzyme cleaner and follow the manufacturer's instructions. Clean your carpet or floor thoroughly to remove as much of the smell as possible. In the past I have used Out! Stain and Odor Remover and it has worked well. Out! is a spray-on liquid that contains enzymes and pro-bacteria to basically "eat away" the stains and odors of pet accidents. Another solution that dog owners sometimes employ is closing the door to the room that your dog prefers to use as his potty, or putting up a dog gate. Sometimes dog owners limit their dog's accessible area to one or two rooms of the house, such as the kitchen and/or laundry room. These are simple solutions, but really are only quick fixes which do not directly target and solve the dog's behavior problem, In fact, limiting a dog's access will actually make him more likely to go potty in the forbidden room if he happens to find a way in. Eliminating the smell and restricting access will definitely help, but in my experience will not entirely solve the problem. 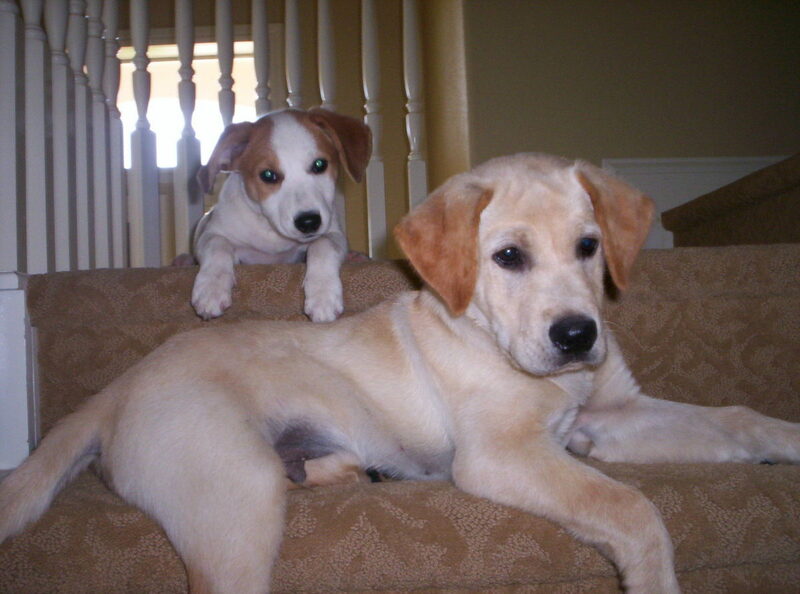 Years ago when I got my first dog, I read Brian Kilcommon's excellent book, Good Owners, Great Dogs. In the book he explains that dogs prefer to be clean and do not like to poop and pee in the places where they spend their time. That's one reason why, when my dogs happen to get loose in the front yard, they run right over to my neighbor's yard and leave them a big present. They're not only trying to mark and expand their territory, they are taking advantage of the chance to use the potty far away from their designated hang-out spot. Chances are, the room that your dog is using as a bathroom is one that does not get much use, at least not by your dog. Since he doesn't spend any time there, your dog sees this room as the perfect potty spot, He can do his business and then walk away from it, and not have see it or smell it. In his canine mind, doing his business in this unused room is the next best thing to flushing his mess down the toilet. My beloved dog Roy, rest his soul, went through a period where he would sneak upstairs and pee in the guest room. After reading Brian Kilcommon's book, I came to realize that to Roy, peeing in the guest room was just as good as peeing way out in yard by the back fence. No one ever went in the guest room, right? Especially not Roy. He almost never had any reason to spend any time in there. So I decided to change that. I started spending half an hour every morning in the guest room. I simply sat on the floor and read the newspaper. Roy would follow me in, of course, and lie by my side as I read. It only took a week or two, and voila, he saw the guest room as one of his hang-out spots, and stopped using it as a bathroom. Once your dog sees your entire house as his territory for sleeping, playing and hanging out, he will stop using it as his bathroom and will start using the yard exclusively. The Ultimate House Training Solution worked for us. He'd been peeing in the dining room for 3 weeks after a jute rug triggered him into thinking it was ok. Since we started using the dining room more often and making sure he joined us in there, he hasn't done it once. My dog is always peeing in the same spots but he will do it right after he is outside. We have tried every spray that we have found and some home remedies. Does my dog have a disease or something? Please tell me. He has been house trained for his entire life. I have a six year old mini Dox who has started peeing in the kitchen every night. He's never been crated. Can I start to crate him at night?? We have a doggie door (relatively new) in the kitchen and he uses it all day but all of a sudden not during the nite. 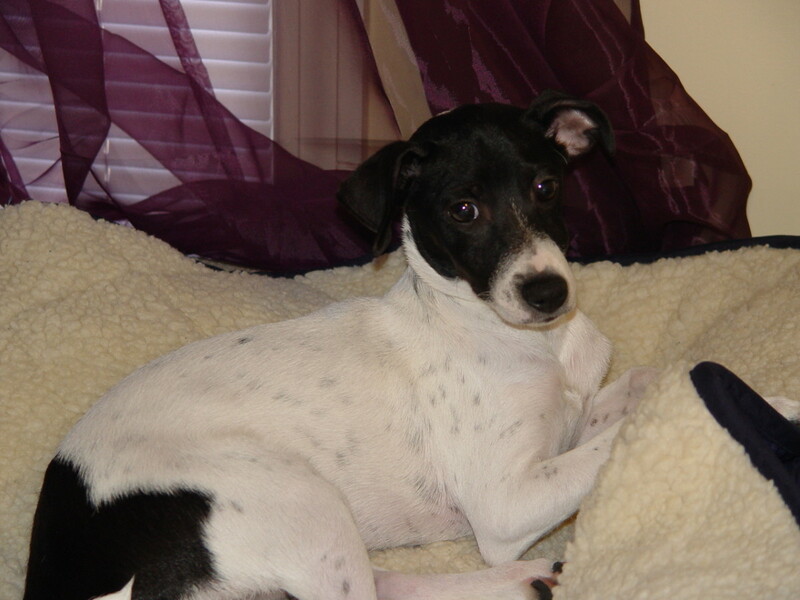 I have another small dog that is crate trained and he loves his crate. Could I put another one next to his and crate them both at nite? He's house trained, but sometimes the slightlest inconvenient weather will make him go indoors, but even then, he's still does it in the house even when the weather outside and clear and dry, so can't really excuse him for that anymore. I have an older Miniature Doberman and she likes to pee in our hallway in the same spot every time. I have cleaned this spot many, many times, and still the dog keeps hitting it. What's up with this? My Daisy is 9. House broke. A lot of changes have gone one in her life in the last year. In past two weeks she has been peeling in the same spot. At first my son said it was water and near the heater but after 3 times I inspected more closely and noticed urine. How can I stop this? I have a 14 week old pup and he pees everywhere! Including his pillows! He has no medical issues just stubbornness! Good luck with yours. Our dog is approx. 9 yrs old (he was a rescue, so age is estimated) We've had him for 5 years. There have been no recent changes in routine. He was just checked by the vet and had a clean bill of health as well as showing no signs of infection. Over the past week he keeps going to the corner of our bedroom where his kennel is and peeing. Every stinking day. It doesn't matter if he was just outside and I watched him go potty out there and praised him for it, he will come inside and go straight to that spot and pee. I have tried enzyme cleaners, and even scented cleaners. He will even go into his kennel and pee on his blanket immediately after I wash it from him peeing on it before. I'd just keep the blanket out of the kennel, but he refuses to go in his kennel if it's not in there. In the 5 years we've had him, this has never been this big of an issue. I've tried pee pads, thinking if he's going to pee in the same place anyway, might as well be easier to clean up. All he did was shred it to pieces making a bigger mess. The spot he keeps going in is right next to my side of the bed. I'm so sick of smelling pee when I'm trying to sleep! Does anyone have any advice on things to try? *The room he's going in is a very well used room that he spends plenty of time in. 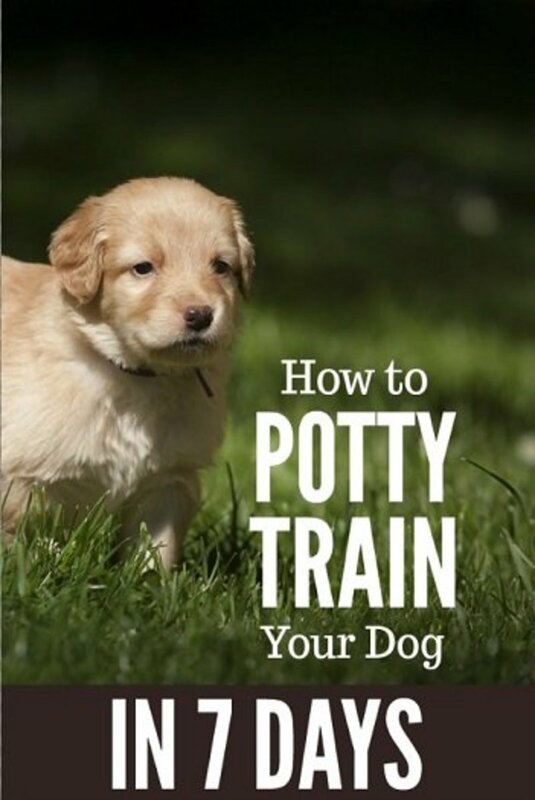 The last part does not pertain to my difficult to potty train puppy. Our living room is the main area where he plays, yet, he still pees ALL over the carpet and rug. Any advice for this type of issue? He's 13 weeks old now and I've had him since he was 8 weeks old. My dog has recently started peeing in the living room. Right in the center, he sits and plays there a lot, so I dont thing this is going to work on him.. can you suggest something? My dog pees in the bedroom he sleeps in???? My husband and I were thinking about taking him to 'doggy school', but then again, it’s extremely expensive, and the nearest 'doggy school' is far away from us. Maybe you have some advice? THANK YOU!!!! I try to let her lay on the bed with me and watch TV but as soon as I leave or have my back turned..she pees! She will sleep with us all nite..if we are not on the bed..she will pee on it... she is 3 months old and pees outside regularly. What can I do? My puppy has been doing better but couldn't figure out why she's been going in other special places. Think your spot on about this. My dog is house broke, has a doggie door, she is a 6lb Chihuahua. The problem is in the winter she doesn't want to go outside because it's too cold. She pees both in the bedroom and the living room. Help I don't know what to do???? 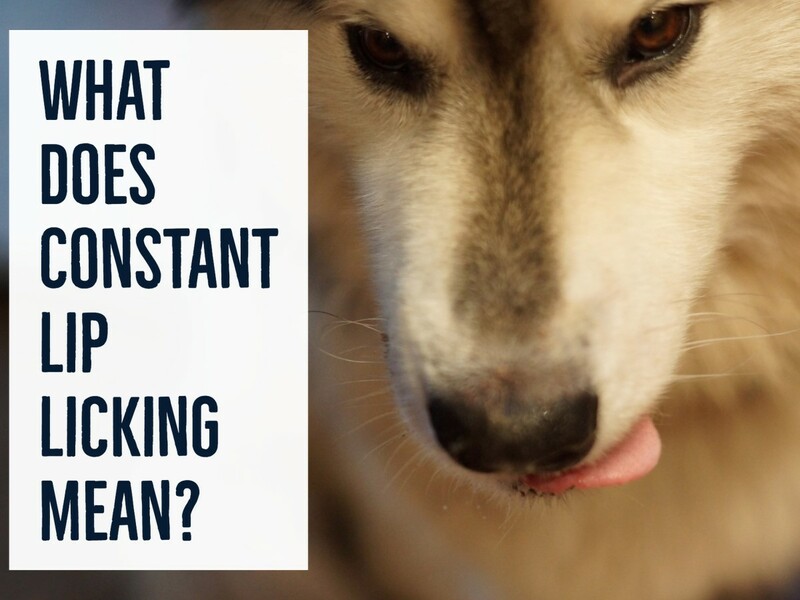 How long is your dog being left alone at home? Perhaps you could install a dog door so he can let himself out to go to the bathroom more often. It could also be that he is bored and this is his way of letting you know that he needs more mental and physical stimulation during the day. Could a neighbor kid come play with him for a little bit each day? Or a retired neighbor, perhaps? Maybe they could take him out to pee and poop, as well. There's always doggie daycare if you have that in your budget. Or perhaps a dog door and the addition of a dog friend to keep him company? Hi Shanna, is there any way you can replace the rug or carpet in your bedroom? ALso try spending time with your dog in that room during the day -- 30 minutes or so -- not just at night when you're sleeping. Or perhaps if you installed a dog door she could let herself out more often and would stop going in the house. I wish I had a better answer; best wishes and good luck! Is she older? Do you think she's having trouble holding it all night, or does she have a bladder infection? Perhaps she would stop if she slept next to your bed in a crate. Oncee she regained her ability to hold it all night again, you could discontinue the crate. Just an idea! Best wishes and good luck. Poor baby! Dogs really are in tune with their humans, aren't they! Maybe your dog is trying to distract you from arguing or let you know he is tired of it, LOL. Best wishes! Our Dog is house trained yet began "doing" duty in house when parents began loooong early morning arguments! Upsets my stomach too!! My dog (who is house trained) sleeps in my room with me every night, and I keep my door closed. Recently, she's started peeing and/or pooping in my doorway on what is starting to become a near-nightly basis. I've tried putting her nose in it, I've tried putting baking soda over the spot where she's peed, and I've been letting her outside right before bed. Why does she keep doing this and how can I get her to stop? Hi, thanks for the helpful advice but my dog is peeing in the spot where his bed usually is, so i moved the bed and he still pees there which is located in the bedroom where we both sleep... Please help. I love the idea of spending time in the room Rory is always peeing in. Do I keep the door closed the rest of the time when I am not in there ? My one year old dog has been indoor trained as I live in an apartment building. He is put in an empty room with his toys, blanket, food etc whenever I leave and was trained to go in one spot in that room which he still does. However, we will be moving countries and he will be retrained to go outdoors as we will be in a house instead of a apartment block. I am trying to teach my dog to hold it now and go on 'new' spot outside of his room so he gets used to holding it. Any advice on where to start? I have a pitbull whom is 6 years of age, he is kept in the kitchen all nite, has extreme behavior issues, eats toilet paper, pees all over the kitchen, even after he was outside all day, then taken out to do his business before I go to bed, I get up at 2 am every morning, and what do I find, a major mess, pee in about 9 or 10 spots poo in different areas of the kitchen...OMG, I'm so frustrated, I take his water away before I go to bed, however; I figured out he has been pushing up the toilet cover to get extra water, so now I have to keep the bathroom door closed, I am very firm with him, however he crouches down like " what I do" " why you yelling at me". Type of looks. Today he was outside 2X in a half hour, I went to do something...I come back ton of pee and poop everywhere in the kitchen...OMG this a nightmare! Plz help! My 1 yr old dog all of a sudden like to poop on the bathroom rug for the passed couple of days, it's not like he doesn't know where to go. any reason why he does that ? I have a 19 month rescue dog who was extremely fearful, to the point of hiding for hours under furniture indoors and the crawl space under the deck outdoors. She would not eat in the kitchen with the other puppy only in a crate. Terrified of everyone! Thankfully she is much better now, I think that she will always be nervous, but a least she is a happy little doggie now. She has at least 6 outdoor potty breaks in our yard as well as walks, and will do her business out there, but the problem is that she pees and poops in the front room of our open plan home. We had an in home trainer for 6 expensive visits and two six week sessions with pet store training classes. Trainer after trainer has given us the advice to block off that part of the house, but if the gate is not up then Ooops! I have always thought that she was doing it because she doesn't think of it as part of our living area, and now your article has confirmed this for me. I am starting on your method of spending time in there daily for 20 minutes or so, and hopefully that will solve the problem. Please help!!!!! My 3 year old Yorkie has been potty trained and she let's us know when she needs to go out. Our problem is she pee's in her bed she lays in. Also, she will lay on my husband even after she has just gone out , she gets relaxed and she pee's on him. I have to wash her bedding and have the rugs cleaned all the time. Does anyone have any answers? This doesn't help me too much since my dog goes in his own room. I've tried to crate him before and I've come home to a big mess to clean up. I don't know what else to do. This article doesn't help my situation but I've read other things that say the same thing and testimonies from other dog owners who says it works. But so far, I'm still stuck trying to figure out what to do with my dog. Its disgusting. My bf's pit bull mix dog craps and pees where ever she feels like it. He does nothing, tonight she peed on the bathroom floor and I had the unfortunate pleasure of stepping in it. I am at the point where I would rather be homeless than deal with the dog anymore. I have always had animals in my life, I have NEVER encountered a dog like this one and I am at the point where I would rather be homeless than live with/ try to tolerate it anymore. I can't stand it anymore.. I never in my life thought a dog would make me leave the man I love. Frustrated, disgusted, discouraged, my house stinks so much I don't want to come home or have ppl over. Tired and frustrated!! S & F.....I came here to find a hub to pass on a note to you...and lo & behold, I found this hub I desperately needed to read! My 8 yr. old Cocker picked up this nasty habit about a year ago and please believe me, I HAVE TRIED EVERYTHING!! I finally threw my hands up. No one could figure it out. I can't thank you enough. I'll come back with a report....one way or the other. My 2 year old shepard mix has been driving me nuts with this behavior. He would between the bed and window of my guest bedroom. He just recently started this behavior. I tried shutting the door too. Within a couple of days of me opening the door, he'd do it again. As soon as call him on it he would run to his punishment place. As if he knew what he did was wrong. I hate to restrict him because he loves peopld watching out of the windows. I will try you advice. I have a 7-year-old spayed female cockapoo. She's always been an excellent behaved little lady. She was easy to housebreak. Since we moved into our new home a year ago she has consistently peed EVERY night in my 6-year-old sons room. I've used everything to clean it up from commercial products to homemade diy products. Now my son's room has a huge white spot that seems to be baking soda that has gotten down into the carpet (we have berber) and I can't seem to get it out. Any advice on what to do to get this out? We've taken Daisy to the vet and she is a perfectly healthy girl. Any advice on what to do to stop her from going pee in the room nightly will be greatly appreciated. Thanks susansik for your kind words. I agree that catching a dog in the act is most effective, that way there is no confusion in the dog's mind over what got them into trouble. Thanks for reading and commenting! Good reading. I never considered that a dog might see a room it does not hang out in as OK to pee in. That makes sense. I have always found that catching the dog in the act, and scolding them immediately works for me. Then also removing the smell as you say. Hi ella, I think with the crazy low temperatures we are seeing this winter, this is an extenuating circumstance. I wouldn't worry about this temporary situation. Because your little dog is leaving a puddle next to the door, that shows you she is trying her best to get out of the house to do her business. I think you're doing the right thing by keeping her in at night during these temperatures. She is so tiny, I'd be afraid that if you let her out in the middle of the night and then accidentally drifted back off to sleep while waiting to let her back in, she'd be out there in the -18 temperatures and might freeze to death. I don't think a little nine-pounder could handle temps that low for long. You may have a little retraining to do when the weather warms up (or maybe not) but for now I would allow her to go on that rug at night and keep cleaning it up, in the name of safety. You can always just throw the rug away in when spring hits; hopefully it's a small, inexpensive one. Stay warm, and best wishes to you for an early spring! It is -17 tonight and has been well below zero day and night for two weeks. My little dog weighs 9 pounds and I let her out during the day but regulate the minutes she can be out in the snow covered yard. We shoveled a loop path for her but it is dangerously cold so I limit lofty time. During the night she has accidents on a rug by the front door. I clean it up and say nothing. Am I wrong in allowing this to happen and not jumping out of bed to let her out when she heads to the door to be let outside? I guess I would say to feed her in the afternoon rather than in the evening, and take her on a good walk as close to bedtime as possible so that she goes to the bathroom right before bedtime. I would also reclean the floor several times, allowing the enzymatic cleaner to stay on the surface as long as you possibly can without harming the floor. If it's carpet, soak it well and just let it sit and evaporate to dry. Don't rinse it off. Do this several days in a row to get rid of all traces of smell. Also, spend a little time with the dog in that front room every day. That is basically the gist of this article. If the dog thinks that room is partly hers, her playroom, stomping grounds, nap room, etc., then she won't want to do her business in it. If she never has a reason to spend time in that room, she thinks she is doing you a favor by pooping and peeing in there instead of in the rooms of the house where everyone spends their time. Best wishes to you and your pooch! Thanks for reading and commenting! I love the pictures of your dogs. Your lab looks like my dog from my childhood. Someone gave me an oil painting of her which I have hanging on my wall today. I have 3 rescued dogs. One has always been very ladylike and never went in the house. The pitbull was an outdoor dog so he didn't understand what it meant to go outside, because everything was outside to him. Then there is the border collie who was found as a stray in Georgia. With a little training, they all have learned to go out outside. They usually walk over to the leash and sit down. Wash the rug, then spend some time with your dog in your daughter's room. Put his bed on top of the rug and or have him lie on the rug while you read the paper or check your email on your laptop. Do this every day for 15-20 minutes and within a week or two he will come to love that rug. Once he loves it and sees it as his place to hang out, he will no longer want to pee on it. Best wishes! I bought a new rug for my daughters newly remodled room, our beagle is only peeing on the new rug! Any advise to prevent this? I had this with Dylan - I got him from a rescue centre when he was still under a year old. All the police who brought him in knew was that he had been on the streets for a few weeks - they'd had trouble catching him, he's small, quick, slithers through small gaps like mercury and he's very intelligent (a bit of miniature poodle in there we think). Anyway, I took him home and expected some "settling in" problems of the usual kind. All was perfect for a couple of weeks - in retrospect, I now know that his behaviour was still subdued due to the changes in his life. As his confidence built, he started to pee in a little space at the side of a tall fridge-freezer. We didn't notice the smell for a day or so, but I had noticed he was peeing less on the walks. We realised that "walkies" was fun and playtime for him, whereas for us is was "fun, play and pee time" - he would get back from a walk and go pee next to the fridge. It took a few days, but we persevered. After getting if from a walk and as he approached the fridge, I would pick him up and take him out to a nearby tree. He soon decided that that particular tree was his designated pee-spot. Thanks so much for your kind words. 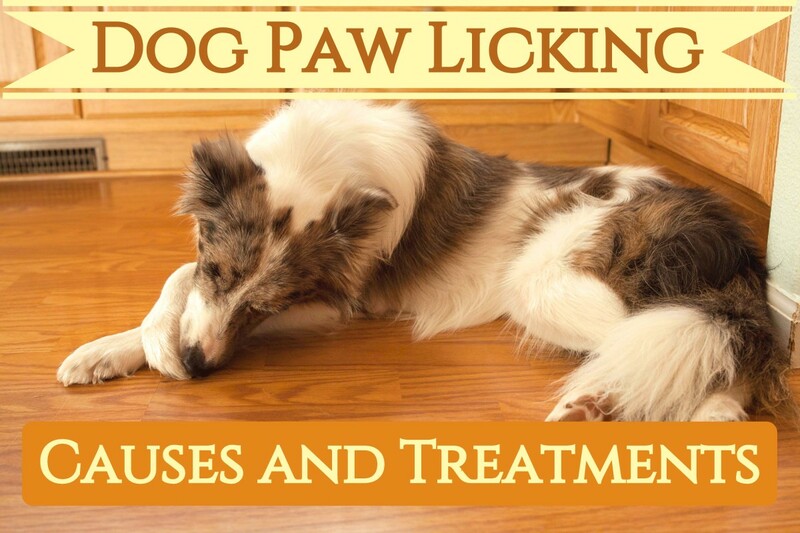 I hope it is a help to you if your dog is having house training problems. Thanks for reading and commenting. This was very easy reading and made a lot of spence will doing this knowing that it will work. Thank you so much for all the help by writing this I'm really pleased with what I have read. Hello, I have a Pug 6 years old. She is house trained and never had accidents in the past. We used to live with my Mom who also had a dog. We move a year ago and built a home. I have 2 cats that claimed a spare bedroom as their hangout room. When we are home and go upstairs to shower or something my dog keeps peeing in the Cats bedroom in the same spot in front of bed. We have scolded her and put her nose it in, but it keeping happening. I did wash it with vinegar one time too. Today I noticed she did it in the other spare bedroom across from it. Do you think it's a territoral thing with the cats or because we moved( it didn't start until after a few months we moved). Any advice On How to make her stop would be great!!!!!!! I can't close all the bedroom doors because of the cats. thanks! I wonder if maybe he is jealous of the twins? Just a guess. Spend time in the hall with her, even though that seems a little weird. Sit in there with her on the floor and play with her, or just read a book and let her lie at your side for 10-15 minutes each day. This should put an end to it in a few days to a week.Best of luck to you! Oh no! What a mess! If your dog has been house-trained and going outside all this time, and has suddenly started going in the house, it could be a signal that something is wrong, whether he is stressed out from changes in his routine or sharing his home with a new pet, or perhaps something medical like a bladder infection. To address the peeing, take your dog in the bathroom and hang out with him there for a few minutes several times a day. Pet him in there, give him some one-on-one attention, a few treats, maybe shut the toilet lid and sit on it and check your text messages or your email, anything that takes about 10-15 minutes. Make sure he stays in there with you. Get him to think that room is part of his personal living space. Since you're shutting the door and not allowing him in there, he thinks that room is the perfect place to go, because he thinks no one ever goes in there, so if he pees in there it won't be bothering him or anyone else. Also, do a little retraining on going outside, like you did when he was a puppy. Take him out often, give him a treat and attention when he goes in the yard, etc. Good luck! I am no vet but I would say take your dog to the vet. Dogs generally try their best not to pee in their sleeping quarters, so to me that signals an infection or some other medical problem. Thanks for reading my artciel; I hope your vet can help you find an answer. I am no expert, so it's hard for me to say what it could be. It does sound like he is trying to tell you he is unhappy about being left behind and not getting to sleep with you. I have also heard some of the very small dogs, like yorkies, are stubborn when it comes to house training. I am not a big fan of the wee wee pads, because in my mind those teach the dog that it's OK to go in the house. But if he is unable to be outside in the winter, that is a tough one. I have heard of indoor fake grass patches that are actually dog litter boxes. Maybe he would prefer something like that? Or maybe you could put a rubber-backed bathroom rug in that spot and let him go on that, if he insists on going on a rug. At least the rubber/plastic backing would stop poop/pee from getting on your carpet, and you could wash the rug as often as you needed to. Another option might be to get another dog so he wouldn't feel lonely/angry when you leave. If you have a garage, maybe you could train him to go in there on wee wee pads or a bathroom rug - at least that would be better than the house. I wish I could give you some expert advice! Good luck! Update - the vinegar thing didn't work. Even after my husband took the dog for a walk (the dog pooped during the walk). As soon as we left to go to my husband's work the dog pooped on the same area even after I cleaned it. My 8 month old puppy used to be potty trained with the wee-pads (one upstairs and one downstairs). Being he is so small, in the winter it is way to cold for him to go outside. Now that the weather is nice I take him outside several times a day as well as for walks, yet I have noticed that he has started to poop on the carpet right outside the downstairs bathroom where his wee-pad is. I've tried the enzyme cleaner, resolve pet, and now I just tried the vinegar (50/50) mix topped with baking soda as it dries, it has to sit over night. I can't figure out why all of the sudden he does this. It normally happens right after my husband leaves for work or we both step out for a bit and recently it was after I quit letting him sleep in the bed next to my husband. As I'm writing this post, I'm beginning to wonder if he has separation anxiety with my husband, so he does this. What do you think? Thanks for stopping by, Beth. I'm no expert but it does seem like your dog is trying to let you know he's not happy that his buddy is gone. I would say to clean it up as thoroughly as possible, then spend time with him in there. LOL, I can see it now, the two of you hanging out in the bathroom. Maybe when you're in there showering or getting dressed you could move his bed in there and encourage him to stay in there with you. If not, sit in there some every day and read a book or bring in your laptop. Bring in his bed, too, or something soft to lie on, and hang out with him in there for 15-20 minutes every day. My guess is that after a week or two he will stop using the floor in there as a toilet. My dog is peeing in the bathroom on the tiles, it is a well used area. He only started doing this after our other dog passed away. Thank you, Patdmania! She was a puppy in the photo. She's still cute IMO but much larger than we ever thought she'd get! I guess you just never know with a pound puppy! Your dog is the cutest little dog! Thankfully, we have never had this problem with our dog but I know people who have. You offer good advice! I found it interesting the idea that a dog will "go" in a room that is least used. This makes sense!